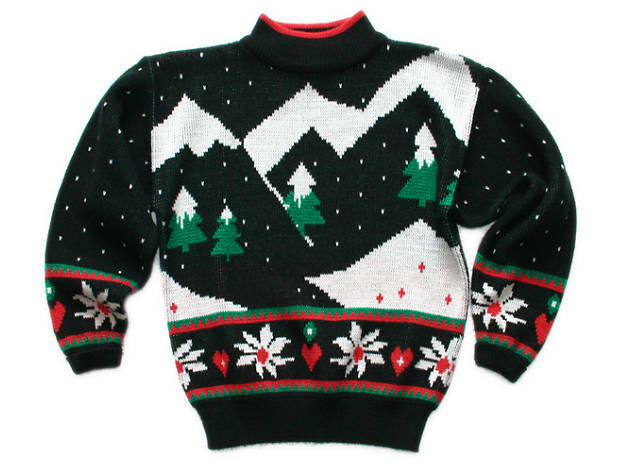 If the spirit of the season inspired you to wear that ugly holiday sweater you picked up at a thrift store to work today, you're in luck. River North Mexican restaurant Mercadito is celebrating National Ugly Christmas Sweater Day (yes, it's one of those unofficial, social media-fueled holidays) by offering anyone who shows up dressed in an itchy, kitschy garment a free cocktail. Show up in your sweater at Mercadito today (beginning at 11:30am) and you'll be treated to a complimentary Sweater Weather cocktail, made with tequila blanco, lemon juice, pear, black currant juice, chocolate bitters and ginger beer. If your choice of attire isn't keeping you warm, this sounds like a drink that should do the trick—if it doesn't, maybe try a hot cocktail? Didn't wear your sweater today? 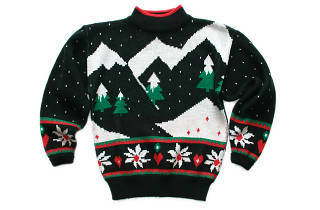 Ugly Christmas sweater parties have become so ubiquitous that you shouldn't have a problem tracking down the proper threads.